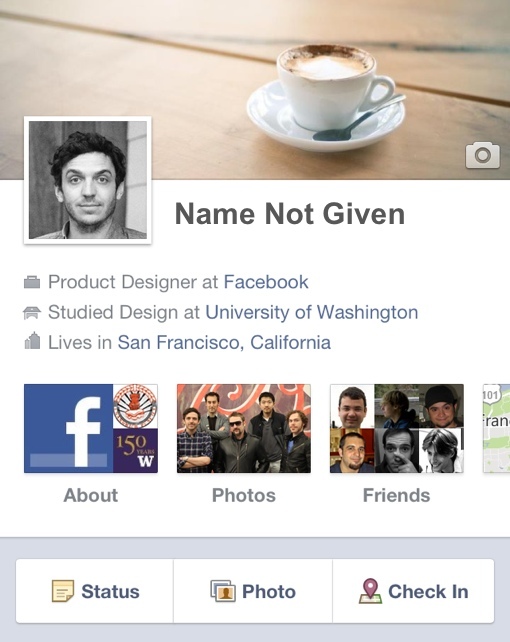 Facebook, the website that has long required you to use your own name to join, is about to experiment with anonymity. According to The New York Times, the social network is working on a stand-alone mobile app that will allow you to interact with content without requiring you to use your real name. That app is “expected to be released in the coming weeks,” says Mike Isaac of The Times. The new feature is aimed at people who would like to participate in public Facebook conversations, but don’t want to give their real names up to complete strangers. Its focus will likely be on topics like sports, TV, news and movies. You can find these public discussions now by using Facebook hashtags, but the use of your real name is currently required to reply to one. The NYT was unable to shed light on whether the new service will contain protections against stalking, trolling and bullying. This has been a problem for other social networks that allow anonymous contributions, such as Twitter. In August, that site’s abuse policy fell under serious criticism after a number of troll accounts sent a photoshopped image of Robin Williams’ dead body to his daughter Zelda. Facebook’s announcement comes as a bit of a surprise given the lengths the social network has gone through to require people sign up with their legal names. The company landed itself in a major controversy when it suspended a number of LGBT drag performers’ accounts for using stage names rather than real ones. Facebook apologized for the incident, saying it was the result of a lone individual that flagged hundreds of profiles as fakes. The social network clarified that its real name policy is instead a requirement to “[use] the authentic name [you] use in real life,” and promised changes to its enforcement policy. You may not yet be able to completely protect your anonymity on Facebook, but there’s a lot you can do to protect the privacy of your personal information if you use the site. Take a look at our comprehensive guide to Facebook privacy settings to learn more. You should also check out our privacy roundup with tips on how to protect your own data and identity while surfing online.